At Home Bakery promises to deliver fresh and delicious baked goods, which are always made to order. You don't have to worry about chemicals or preservatives as they take pride in what they do. Each product is made with the utmost care and love. At Home Bakery will bake you the goods they eat at home. They hope you will fall in love with them! Look for the wagon at the market to line up for their famous fried pies! The Baker's Wagon sells a variety of unique, homemade products including breads, cookies, pies, and donuts. They also feature a selection of organic produce, as well as canned goods like pickles, jams and jellies. Breadsmith is a local artisan bakery that specializes in handmade European and American breads just baked from scratch, fresh, that day. They make all of their breads using the finest ingredients available! H&J Kitchen is the joint venture of Hans and Janna Tanner to provide their local community with tasty, fun, and healthy food and drink products. They feature primarily ChiaBalls, an easy-to-eat combination of nuts, dried fruit, and chia seeds. Jen's Bakery started 7 years ago selling at local farmers markets and now just this past year moved into their own kitchen/retail in South Fargo. It's been an incredible journey with rapid growth, all the while starting a family in these past years as well. 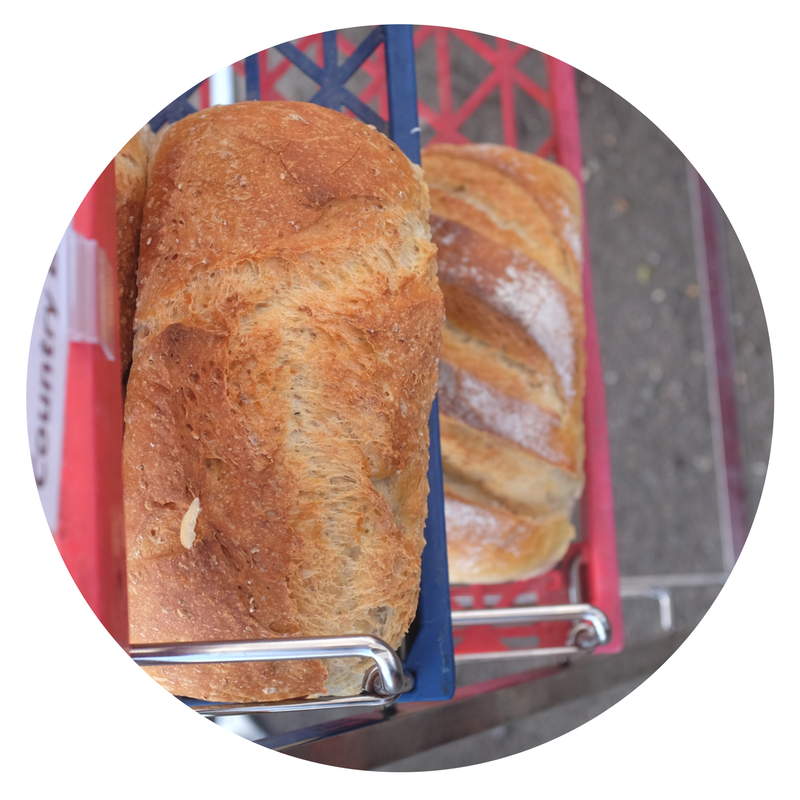 Jen's Bakery is super excited for the farmers market season as they plan to source the produce for their sandwiches and salads from fellow makers. They have currently been using deb's pesto and humus as a spread for their sandwiches at their retail location. Specializing in unique handcrafted food items using premium ingredients with fresh and seasonal flavors, Michele's Table is known for her weekly rotating flavors of scones. Michele's Table is created out of a passion for food and a love for people! Prairie Vegan Pies is a one woman 100% vegan operation. Megan's focus is on fresh homemade pies from scratch that are free from dairy, eggs, and other animal products. She uses only North Dakota Mill flour in her bakes. In Morris, MN she provides custom vegan cakes, pies, cheesecakes, and cookies for the community. Rogue Candies is a husband and wife team, and they have been in business for three years. This will be their third year at the Red River Market! Rogue Candies primarily focuses on caramel and they have over 13 different flavors with more to come! Look for their candies that feature local vendors throughout the region such as coffee from Stumbeano's and tea from Steep Me A Cup of Tea! Wicked Wife Cakery is a locally owned, licensed and insured, custom bakery catering to the Fargo/Moorhead areas. They create unique, one of a kind cakes as well as other baked goods. If it can be baked, odds are they can make it. From weddings to birthdays, baby showers to corporate events, graduations and everything in between, Wicked Wife Cakery tries to make special days memorable as well as delicious.